Last month we shared a blog post about the famous Raffles Hotel in Singapore getting a major face lift in part for the Warner Bros. blockbuster movie Crazy Rich Asians. The 130-year old hotel completed renovations using several LATICRETE products such as: Restoration Plaster, 325 Cementitious Adhesive, 1600 Tri-Poly Fortified Unsanded Grout and SPECTRALOCK® PRO Grout – epoxy grout. This was not the only iconic hotel featured in the Crazy Rich Asians movie that showcases LATICRETE products used. 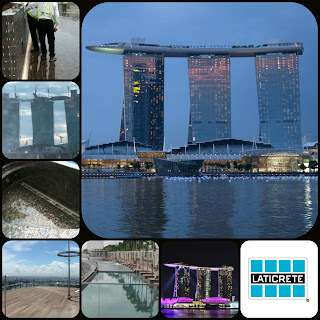 On top of the iconic triple tower at the Marina Bay Sands Hotel & Casino sits the infinity edge swimming pool where an important scene takes place. The pool spans the three towers and is waterproofed and tiled with the LATICRETE system! No one else in the world besides LATICRETE could handle a pool project of this magnitude and warranty it! The mosaic tiled pool spans over the three 55-story hotel skyscrapers and measures over three times that of an Olympic-sized swimming pool. 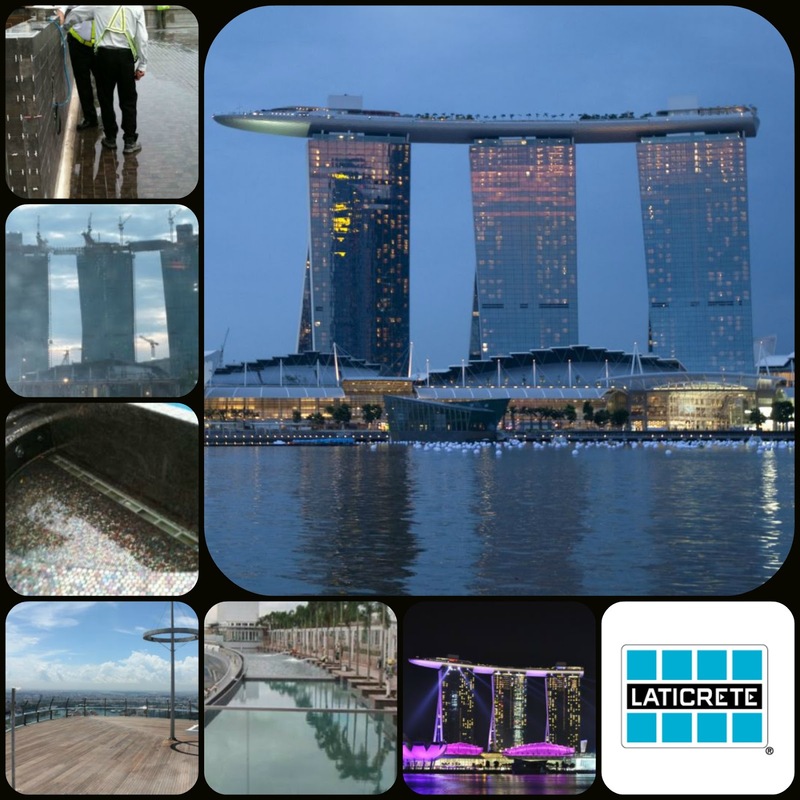 This amazing project was done by local architect, Aedas, Pte Ltd out of Singapore and installer, Sangyong Engineering Construction Co Ltd. All installation products were supplied by LATICRETE Southeast Asia Pte Ltd.
Read more about the Marina Bay Sands Hotel project completed in 2011.